If your website has a link to content on another website, this is called an external link. External links are links on your website that point to pages on another website. While these links provide useful information and resources for your visitors, if they are out of date or are broken (the page no longer exists), then it provides a bad user experience. Websites are often reorganized or redesigned, which can cause a change in the URL for a specific page. If your website links to that page, your visitors will get an error when they click on the link. It’s important to check all links on your website to make sure that they are up-to-date, but it is more likely that external links need to be updated. Set up a time each quarter to run a check on the external links on your website. If it’s scheduled on your calendar, you’re more likely to fit it in to a busy work schedule. This program is only for PC’s, so Mac users, don’t even bother. Still, it’s worth listing here as it is one of the first programs to assist with checking links. You can download it here: http://home.snafu.de/tilman/xenulink.html. As always, be sure to scan the download with your anti-virus software before installing. It’s not a bad idea to check links on your website too – just in case you linked to a temporary document that was used for a time-limited marketing campaign and then removed or something like that. 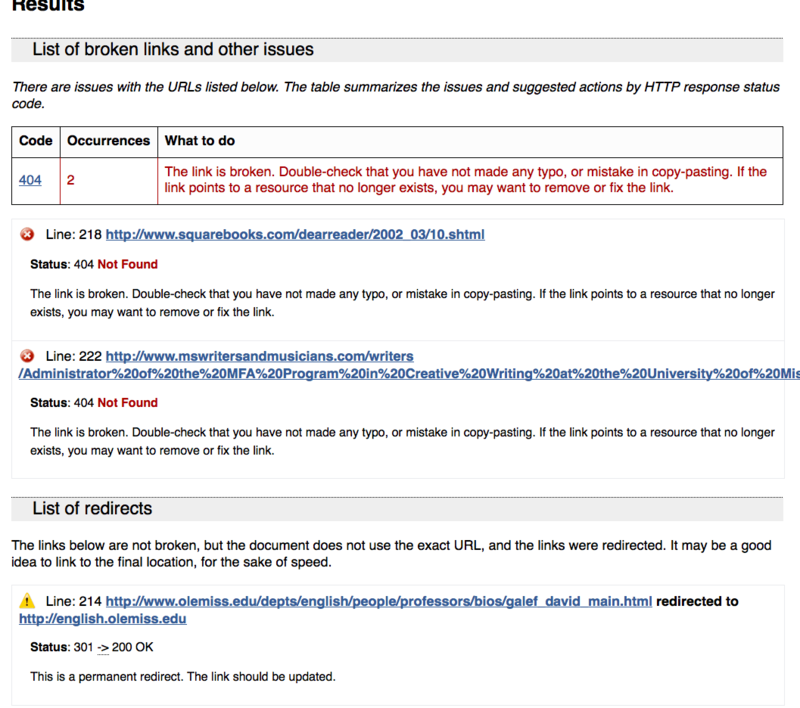 Some of the tools above will also work for internal links as well. The easiest way to do this is to check your Google Webmaster Tools account. If there is a broken link, it will show up as a Crawl Error. 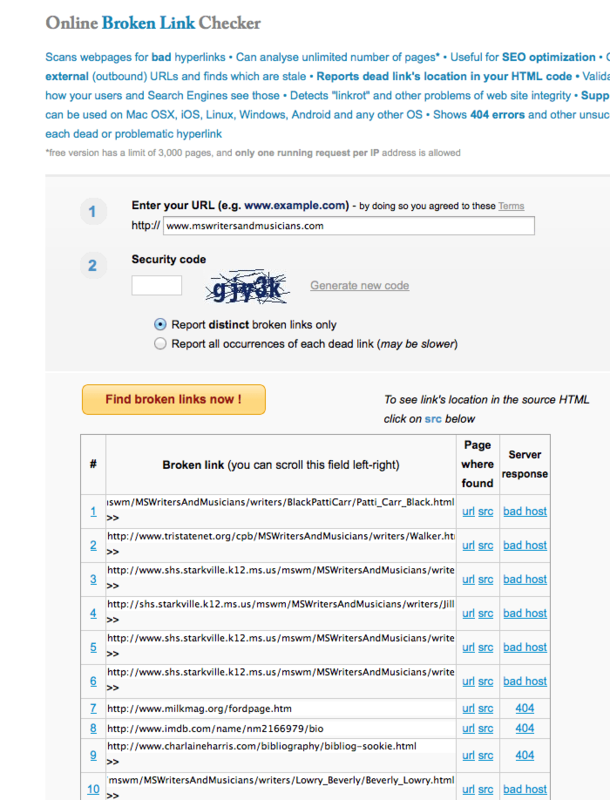 When you click on an error it will show you the link and the page the link can be found on. You can then go in and fix or remove the link.